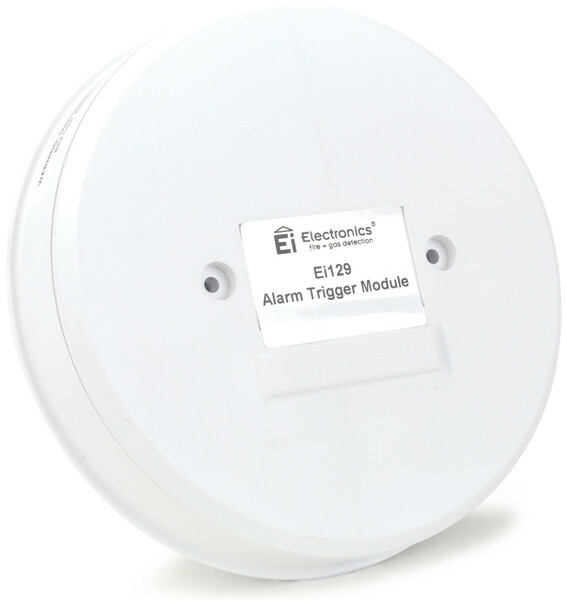 The Ei129 is a Hard-Wired Switched Input Module that when activated by an external device such as a sprinkler flow switch triggers all interconnected Alarms and Devices in a system. The Module has a set of volt free contacts for hard wired inputs. The Ei129 is mains powered with back-up rechargable lithium cells which are designed to last the working life of the Module. In the event of a mains failure the Ei129 will switch over to it’s back-up lithium cells. The cells will last in standby up to 12 months and provide 20 hours of operation in Alarm mode. 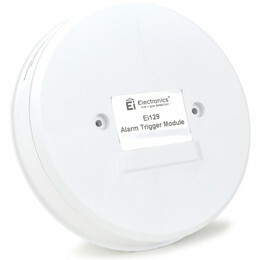 Triggers the Alarms in a system if an external device is activated such as a sprinkler system. Mains powered with a rechargable back-up 10 year lithium cell. Hard-wire interconnect up to 12 Alarms and Devices. Accepts a hard wired switched input. Works from any N/O, 230 V AC mains rated isolated contacts.